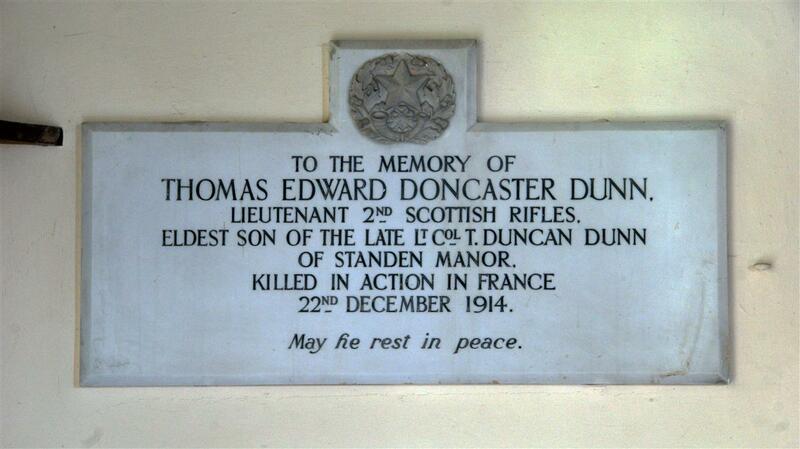 To the memory of / Thomas Edward Doncaster Dunn, / Lieutenant 2nd Scottish Rifles, / eldest son of the late Lt Col T Duncan Dunn / of Standen Manor. / Killed in Action in France / 22nd December 1914. / May he rest in peace.